FAQ's are nothing but Frequently Asked Questions. Guruji Sri Narendra Babu Sharma give answers to various questions which are asked by the callers in the programme. Also Guruji give us the knowledge on Hindu Sanathana Dharma, which i have put FAQ Format. 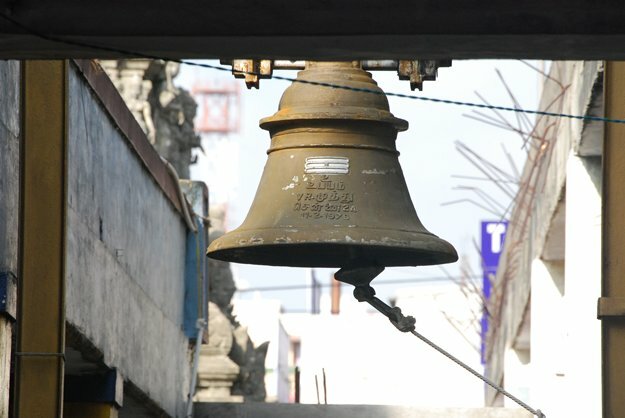 Can Women ring the bell in temple? No, Women should not ring the bell in neither temple nor home. Can Women Enter Temple sanctum sanctorum (Garbha Gudi) ? No, Women should not Enter Temple sanctum sanctorum (Garbha Gudi). Whether Keeping Grass blades (Durva or Garika or Darbha) at home is good? Yes, Keeping Grass blades (Durva or Garika or Darbha) at home is good. When Darbha is cut into two pieces, one is called as Lava and the other is called as Kusha. Is tieing Hasi Dhara (Thread in turmeric paste) to Naga Murthis (Idols of Snake), Correct? 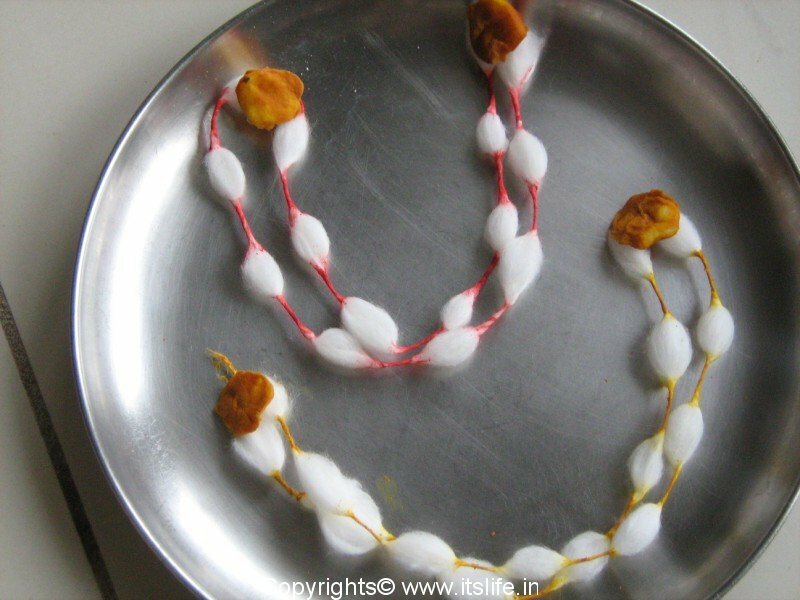 No, We should not tie Hasi Dhara (Thread in turmeric paste) to Naga Murthis (Idols of Snake). 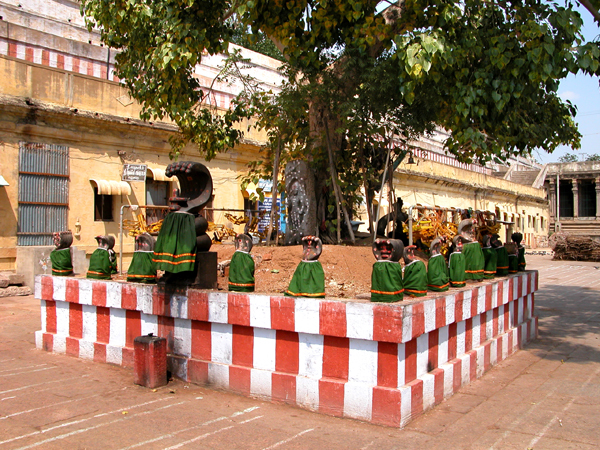 Is tieing Gejje Vastra (A string prepared using cotton) to Naga Murthis (Idols of Snake), Correct? Yes, we can tie Gejje Vastra (A string prepared using cotton) Naga Murthis (Idols of Snake) or any other idols of Lord. 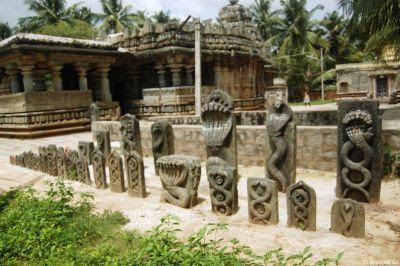 Can Women perform abhishekha (bathing the idols) to Naga Murthis (Idols of Snake)? Yes, Women can perform abhishekha (bathing the idols) to Naga Murthis because Prana-pratisthapana or Ashta Bandhana (rituals performed during the installation of idols) are not done for these idols. But Women should not touch the idols for which Prana-Pratisthapana or Ashta Bandhana are done. Is Offering Money to beggars after a Temple Visit, Correct? One Should never ever offer money to beggars after temple's visit instead, Guruji asked us to offer Food or Clothes etc.. (instead of Money) which will serve the purpose. "Please Leave your Opinion on this post in the form of Comments below, which will help us to serve you all Better"
sairam, very happy to see the forum in faq.hope many faq may be highlightened. please post faq in earlier programmes. this is useful for people like me who cannot view GURUJI's programme in tv as i reside at HYDERABAD'as our local cable does not operate channels.I once again thank you very muchand post more articles like this. Saashtaaga Pranaama at the divine feet of His Holiness Guruji. Can we perform Naaga Prathishte, Sarpa Samskaara and Ashlesh Bali at Kukke Subramanya any time of the year. We are planning in the month of December this year after the yagna. Yes, you can perform any time of the year. Hi. I was not able to watch the older episodes of Bhavya Brahmanda programme. This article is really helpful. I would also like to know the reasons for the answers given by Guruji. Guruji usually explains the reasons. Please post the reasons. Guruji has not yet informed. Once he gets the message from Himalayas, he will let us know.